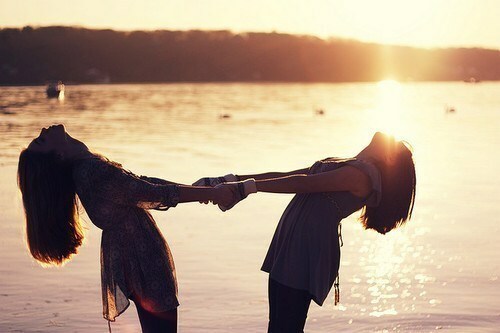 An amazing friend is one of the best things you can have, and also one of the best things you can be. Building lasting friendships is one thing you do not want to miss out on. Even if your partner is your best friend, you still need other friends outside your relationship that you can confide in, get silly with, and when the skies are grey, cry with. Here are my top three tactics for building lasting friendships. #1 Accept People As They Are: Many of us make the mistake of going into friendships with the idea that whoever we want to be friends with has to agree with us on everything. It’s almost impossible to find someone who would agree with you 100% on every single thing. Even twins do not agree on everything. Instead of trying to coerce or mould potential friends into what you’d like, rather accept them the way they are. The beauty of this is that you can easily see if your personalities will rub each other the wrong way and step back from the friendship. #2 Don’t Make Gossip a Foundation: Some friendships are born from the joint dislike of someone else, and that can generally create the illusion of a strong bond between two people… only for as long as they are ‘hating’ the other person/ people. As soon as the interest in that external party fades, the friendship bond wanes, and is often difficult to rebuild. Awkward silences, forced discussions about the weather, and unnecessarily seeking out someone new to detest will be the order of the day for a friendship built on gossip. It is best to build your friendships on who you are as individuals. Talk about each other, open up to each other, discuss your ideologies regarding life, relationships…anything else that tickles your fancy. Let the focus of your friendship be the both of you. #3 Have the right kind of listening ear: There is a wrong kind of listening ear in case you are unaware. The wrong kind of listening ear is the one that hears what your friend is saying but is not listening to the hurt or pain being expressed. The wrong kind of listening ear jumps to criticize and highlight weakness. The wrong kind of listening ear ridicules the other person’s problems and aims to glorify personal strength by highlighting how you would have handled the issue. Learn to have the right kind of listening ear. Learn to detect a tone of sadness so you can give a word of encouragement or a hug. Learn to simply nod and listen while a person lets out their frustration. You are more likely to earn their trust that way, and your friendship will definitely be stronger.